Dr. Marguerite Duane, a board certified family physician, is co-founder and Executive Director of FACTS – the Fertility Appreciation Collaborative to Teach the Science, an organization dedicated to educating healthcare professionals and students about the scientifically valid natural or fertility awareness based methods of family planning. She also serves as an Adjunct Associate Professor at Georgetown University, where she directs an introductory course on natural methods of family planning. Dr. Duane is a co-founder of Modern Mobile Medicine, a direct primary care house-calls based practice serving patients of all ages in the DC metropolitan area. Dr. Duane is the immediate past-president of the St. Giuseppe Moscatti Guild of the Catholic Medical Association in the Archdiocese of Washington, DC. She formerly served as the medical director of the Spanish Catholic Center of Catholic Charities, non-profit community health centers that care for an almost exclusively poor and uninsured population in the DC metropolitan area. Dr. Duane has also previously served on the boards of both the American Academy of Family Physicians (AAFP) and the FMEC. Dr. Duane received her M.D. degree with recognition in primary care from the State University of New York at Stony Brook and completed her Family Medicine residency at Lancaster General Hospital in Lancaster, PA. She received a Bachelor of Science with Honors degree and a Master of Health Administration degree from Cornell University in 1992 and 1994, respectively. 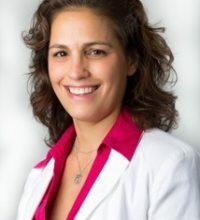 Dr. Duane has been recognized for her leadership efforts by the American Board of Family Medicine which named her as a 1998 Pisacano Scholar, and by the American Academy of Family Physicians which awarded her the AAFP Bristol Meyers Squibb Graduate Medical Education Award in 2002. Dr. Duane is trained as a Creighton Medical consultant and a TeenSTAR educator. She has published articles on the effectiveness of fertility awareness based methods for family planning and the use of apps for tracking fertility. She has also developed and delivered multiple presentations on the use of fertility awareness based methods for family planning and women’s health. Dr. Duane balances her career as a teacher and Family Physician, with her role as a mother and wife. She is proud to be accompanied on this life’s journey by her husband and fellow family physician, Dr. Kenneth Lin, and they are delighted to be the parents of 4 young children. I felt called to be a physician when I was just eight years old and witnessed the birth of my baby sister at home. From that moment, I was deeply impressed by the beauty and miracle of human life and the important role of the physician in caring for patients.